Autumn……for some it’s a great time of year. 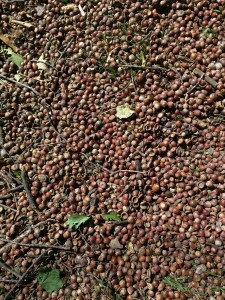 Harvest festivals, the changing colours of the trees and kicking through piles of leaves while walking through the park. For others Autumn means the summer is over, the nights are getting longer, the days are getting shorter and it’s cold and wet. Autumn also means there will be a lot of conkers (chestnuts) and acorns on the ground in parks, wooded areas or even in your garden which can cause problems for your dog if they are swallowed. Below are the the symptoms and problems that could occur. 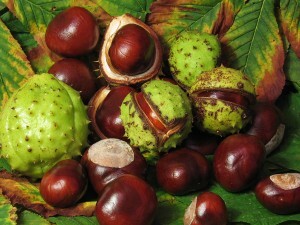 Conkers – Many people think the only danger from a conker is bruised knuckles from having one bashed against your hand when one is placed on the end of a string. However, should a dog swallow them it can cause sickness and diarrhoea and in rare cases severe poisoning. If you believe your dog has eaten a conker look out for the following symptoms – drooling, retching, vomiting, diarrhoea and abdominal pain. Also, if they are ingested they can cause blockages which can lead to further problems. 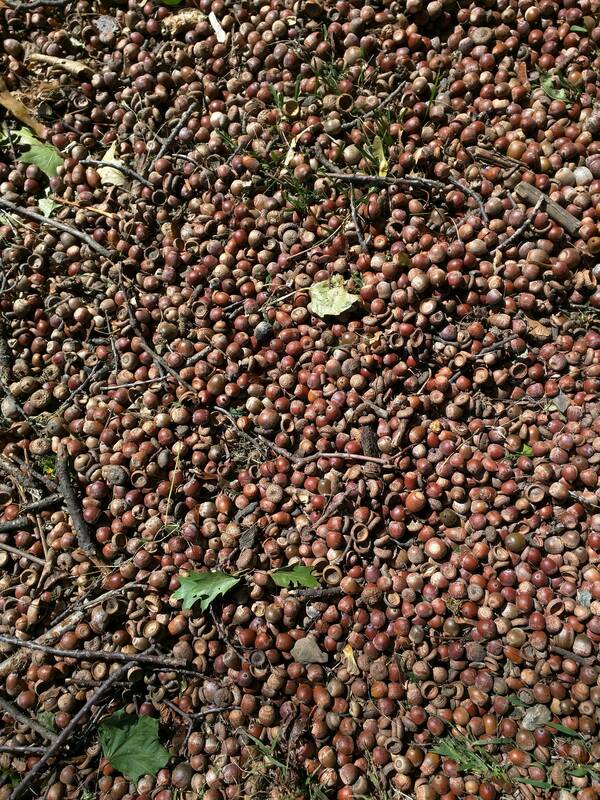 Acorns – Acorns contain tannic acid that can damage the liver and kidneys. Also they can cause vomiting and diarrhoea and inappetence (loss of appetite). Again, if lots are eaten they can cause an obstruction can lead to further issues. Just remember, whenever you take your pooch for a stroll just be aware of what’s on the ground to ensure they don’t swallow anything that could do them harm. As always, if you have any questions about this subject you can call us at the clinic and speak to someone directly or you can leave a message on our Facebook page and someone will get back to you.